Invoices must be billed to a valid school address. If you do not work at a school, you will need to pay by debit or credit card. When requesting an invoice you will need to provide a contact name and an invoice number. The invoice number is for your school records, so if you’re not sure what to put ask your bursar or school secretary. Please note that if you are purchasing for a school outside the UK we will require you to pay your invoice in full before we can ship your order. Do you have online versions of the Book Club order forms I can download and print? Yes – all order forms are now available to download at our online order forms page where you can download versions of both Primary and Teen forms. We’re always pleased to help with any queries you may have. How can I get my books delivered to my child’s school? If your child’s school has a Book Club order open you can have your books delivered to the school for FREE . This will be as part of the whole school’s order that will be distributed to the children in class. As you go through the checkout choose the school that you’d like the delivery to be made to receive free books from your order. When you get to the delivery screen you will be able to choose the school for your delivery address. If this is not an option then the school does not have a Book Club order open. You will need to check with the school to find out when this will be available. How do I remove a school from the list of schools in the header? How do I spend my Scholastic Rewards? Rewards can be used by schools to purchase most of the hundreds of books and resources available to buy from Scholastic. To find out more, take a look at our guide to Scholastic Rewards. How long will it take for my books to be delivered? 2. School delivery If you have your books delivered to your child’s school for FREE your Book Club Organiser in school should be able to tell you when the books will arrive. They will need to confirm the whole school’s order and then we will deliver the books to school within 10 working days. How many Scholastic Rewards do I have? If you work for a school you may receive your Scholastic Rewards online or printed on your advice note. You can find out your online Rewards balance by logging in to this site, selecting Manage account at the top of the page and then choosing the Rewards link from the menu. The value of any printed Rewards that you have received will only be taken from your order if you enter the serial number into the appropriate box during checkout process. Your printed Rewards will not be displayed as part of the total on the left-hand side of the Scholastic Shop pages. If you think that your online Rewards total is incorrect, or if your printed serial number is not recognised, please call us on +441993893474. I have asked for my books to be delivered to school. How will I know my children will get their books? The Book Club Organiser at your school should be able to let you know when the order is expected in. After the deadline has passed they will then need to confirm the total order and we will then deliver the books to school for them to distribute in 10 working days. My children go to different schools can I choose for my Rewards to go to two schools? If you’re buying books for children that go to two different schools and you want both schools to benefit from your order you will need to go through the checkout twice. Once selecting your first chosen school and then again selecting your second chosen school. Schools earn Scholastic Rewards by running Book Clubs and through purchases made by teachers from our shop – we donate 20p in Scholastic Rewards to a school of the customer’s choice for every £1 spent on the Scholastic Shop. Lexiles are the global standard in reading assessment. They are unique as they are able to measure a child and a book on the same scale – ensuring the right book gets to the right child at the right time. Lexile measures are based on over 30 years of research and are the most widely adopted measure of reading level and text difficulty. Teachers and students use Lexile measures to select books at a level that will challenge students – not so difficult as to be frustrating, but difficult enough to encourage reading growth. Find out more at scholastic.co.uk/readingpro. Picture books are frequently considered for an AD or “adult directed” code because they are usually read to a child, rather than a child reading them independently. The NC code is applied to books that have a Lexile measure markedly higher than is typical for the publisher’s intended audience or designated developmental level of the book. A text designated as “HL” has a Lexile measure much lower than the average reading ability of the intended age range of its readers. The IG code is applied to books that consist of independent pieces or sections of text such as in an encyclopedia or glossary. The GN code indicates that the book is a graphic novel or comic book. Beginning Reader (BR) is a code given to readers and text that are below 0L on the Lexile scale. NP stands for Non-Prose. Some common examples of non-prose content are poems, plays, songs, recipes, and text with non-standard or absent punctuation. 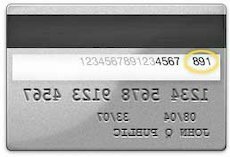 Your card’s security code is the final three digits found on the signature strip on the reverse of your card. What should my Book Club order name be? If there is more than one Book Club running at your school, when parents order online they will be asked to choose which Club they would like to order from. You should therefore give your Club a name that parents will recognise, for example, ‘Mrs Smith’s Spring Book Club’. When do you automatically close school group orders? We’ll automatically check out parents’ orders that have been paid for online three days after your deadline date. If you want to get their books earlier you can always return and confirm them before this time. Got extra school orders? Then please add them to your basket before we close it and confirm the order so that we can get all your books sent to you together. If you don’t confirm it within the three days then we’ll just send you the books parents have ordered and paid for online so that you can have chance to complete your school order in your own time. Got an alternative delivery address? If you’d like your school group order to be sent to an address that’s different to your nursery or school address then please confirm your order within three days after the deadline date and change your delivery address as you go through the checkout. Why do your exchange rates vary from the current market rates? We set our USD and Euro exchange rates at the beginning of each school term. This ensures rates remain consistent throughout the term and match the prices advertised on the websites and printed leaflets. Any fluctuation in market rates are not reflected in the ISBC exchange rates for that term. If you have any queries about exchange rates please contact our Customer Services team at intschool@scholastic.co.uk. Why has my order incurred a delivery charge? Postage to your address is free. However some countries have import customs charges that you need to pay for your books to get to you smoothly. Where we know that duty is payable when importing books into a country we will send all orders DDP (Delivery Duty Paid), and a percentage charge will be added to your order total to cover this amount. Please see the list of countries below. If your country is not on this list, please be aware that you may face additional duties and customs charges. Why have I been asked to provide a school name? Scholastic International School Book Club can only offer delivery to school addresses. You work in a school. Your child’s school is currently running a Scholastic Book Club and has enabled online ordering.